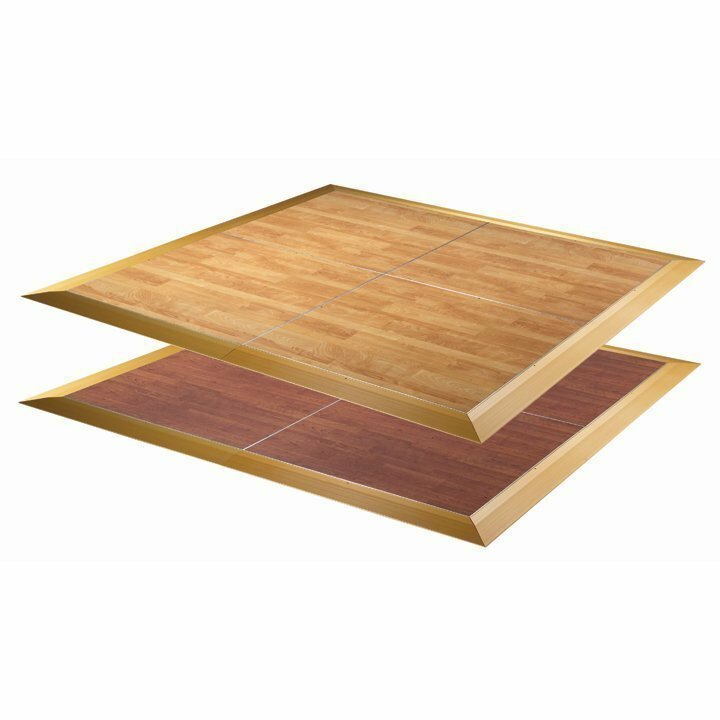 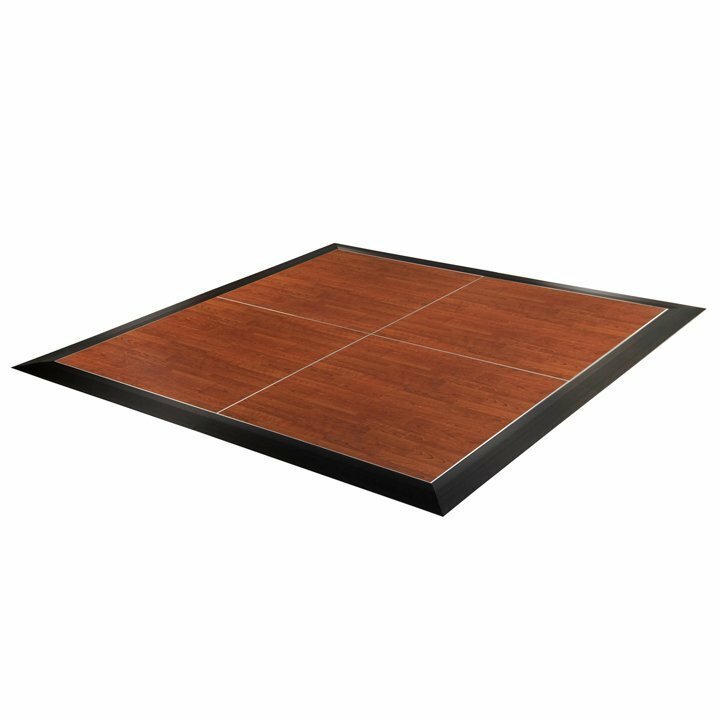 The patented SICO® Cam-Lam™ Portable Dance Floor features a fresh new plank look with a maintenance-free, high-grade laminate surface. 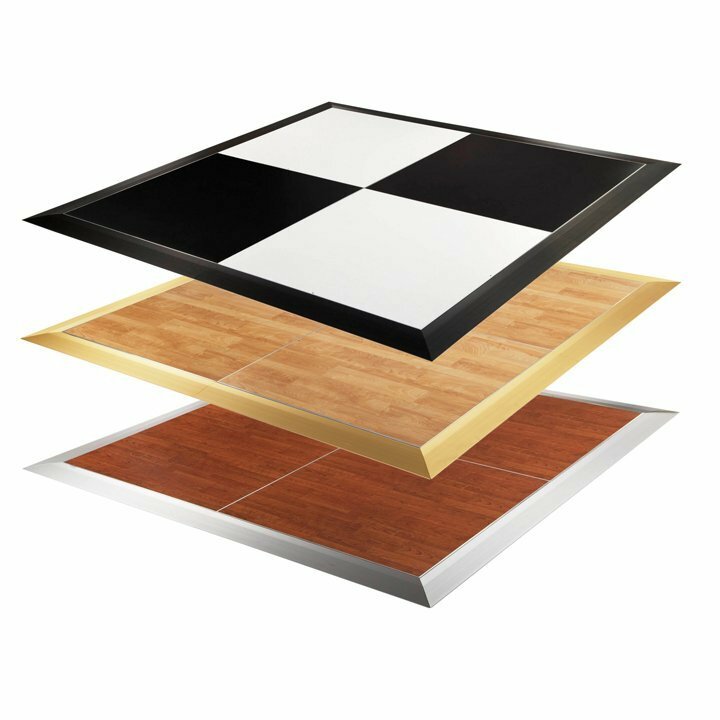 This durable surface resists chipping, scratching, and fading normally associated with other wood and low-grade laminate floors on the market. 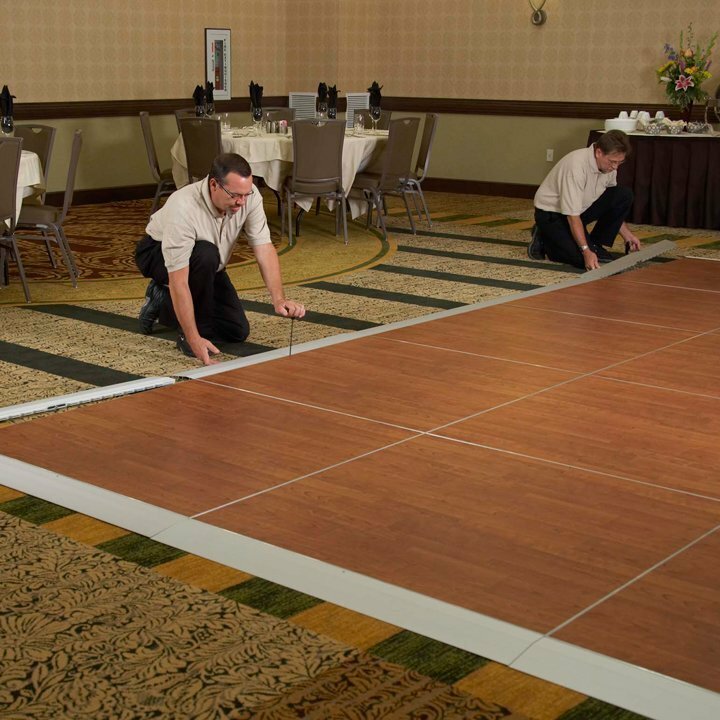 This floor's positive cam-lock system automatically aligns panels and trim pieces together for a fast and secure fit. 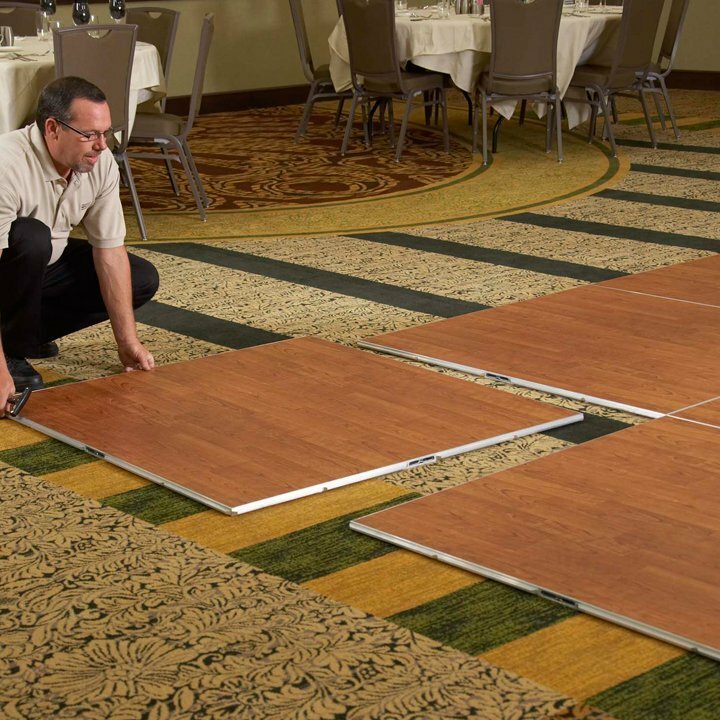 A half-turn with an allen wrench is all that's needed to lock or unlock panels, reducing the time and labor required to lay down the floor. 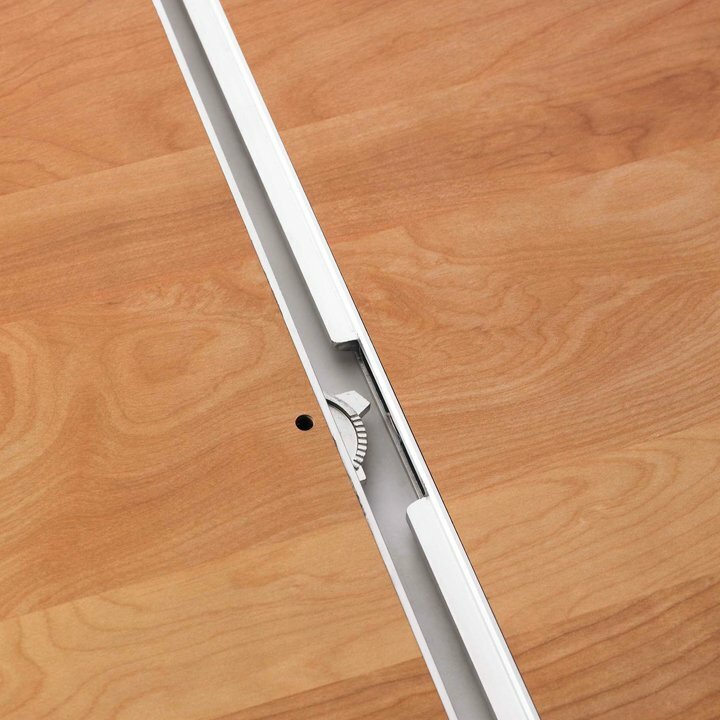 This reliable locking system is not dependent upon magnets or gravity to keep panels interlocked. 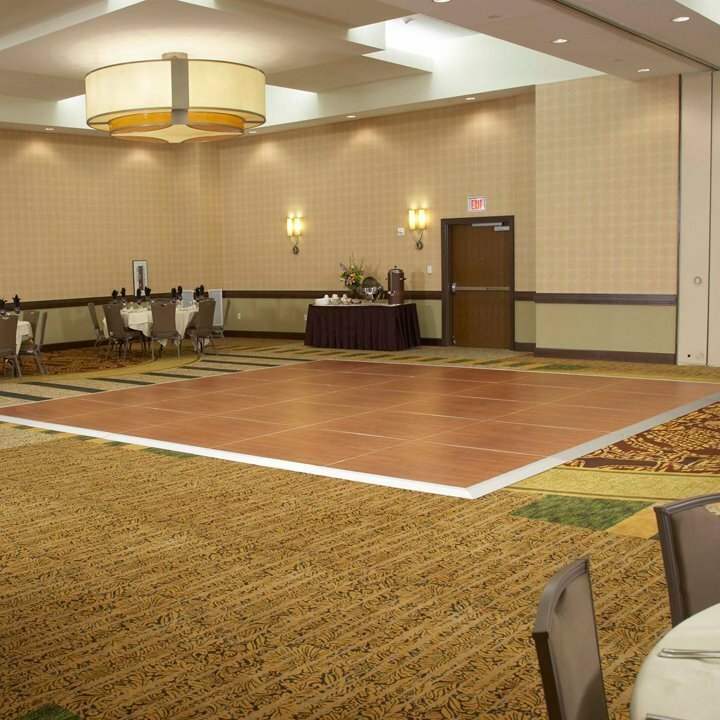 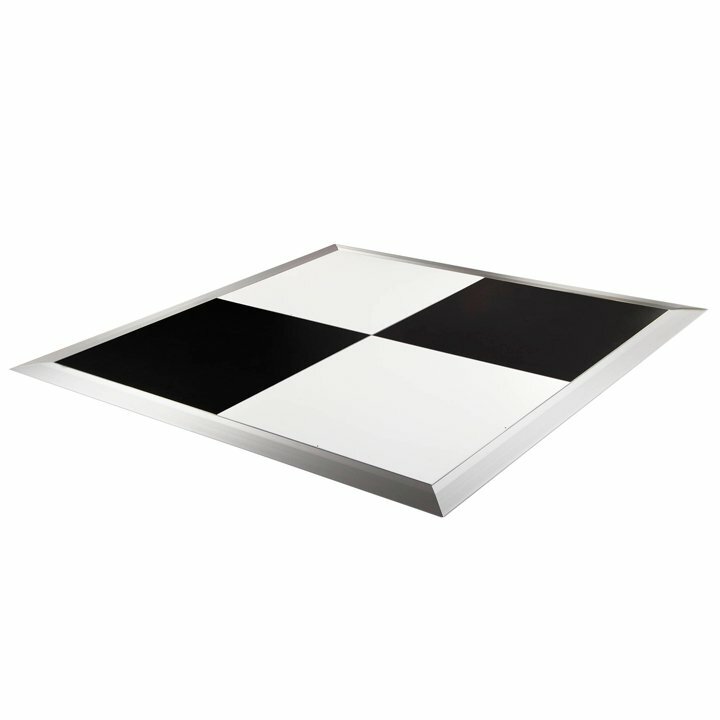 4′ panel dance floor caddy has a capacity of 24 panels and 20 trim pieces. 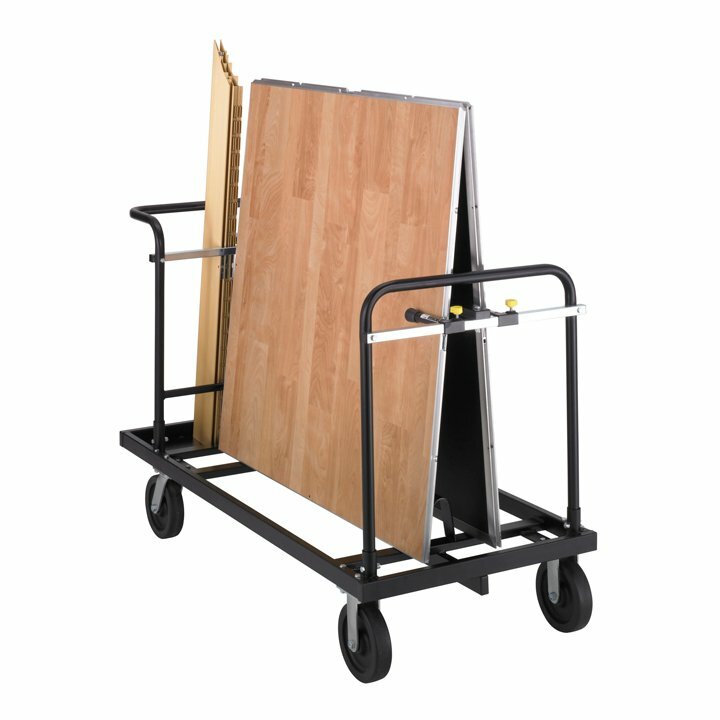 8″ (20 cm) casters.